A simple design … a powerful message. 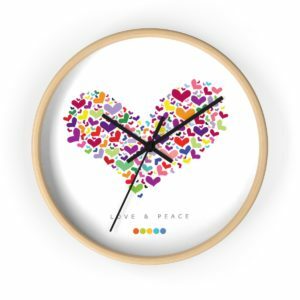 Add some Love and Peace into your living space. The clean-line wall clocks add a contemporary touch to your room. 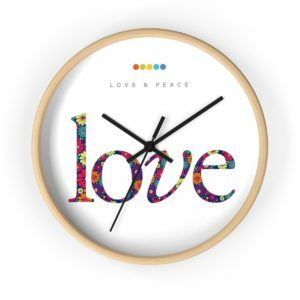 The 10″ clocks are made with wooden frames with three color options. They are battery-operated so there is no need for messy hookup.